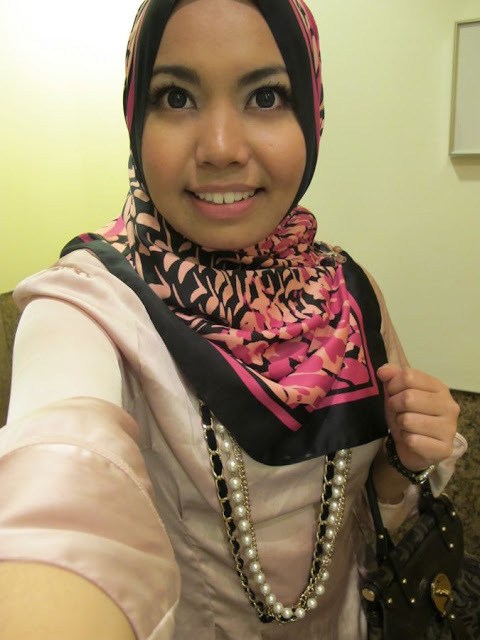 Shazwani Hamid's Blog: Hello World! The thing is, after been back from Saudi, I am just so damn tired and then when I have all the energy to update this blog, I always have something important to do.. Like talking on the phone with someone (hehehee. Yes, that's realllllly important to me! ;p), or like helping mom at the kitchen, or meeting up some important people or running some errands, or maybe catching up on my sleep or doing just about anything! Hmm..
it's ok honey we understand.. go get yourself a full blast of awesome life, (n not to mention ideas for new entries :p) n come back to us with full blast of awesome stories! we're glad to hear from u soon!! yang!! ak ske ur scarf n necklace k!! heheee...tetibe~ nice shot bebeh! thanks. its from a brand called i-enhance.